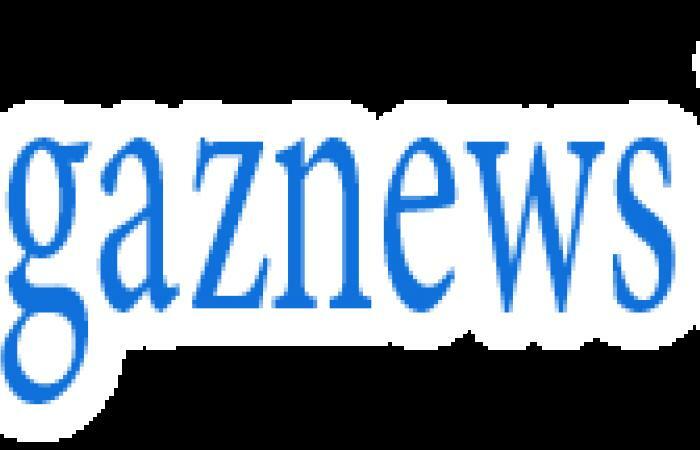 His band The Rolling Stones have had to postpone their American tour amid claims that lead singer Mick Jagger has a mystery illness. 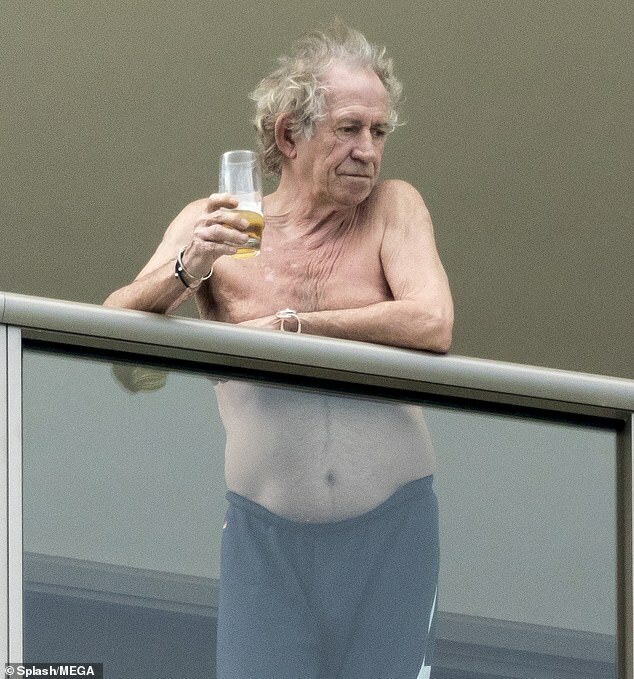 And following the news, Keith Richards took some time out as he went shirtless while enjoying a beer on his hotel room balcony in Miami. The 75-year-old rocker was joined by his wife Patti Hansen, 63, as the couple relaxed together, just rooms a way from Mick, 75, and his girlfriend Melanie Hamrick, 32. 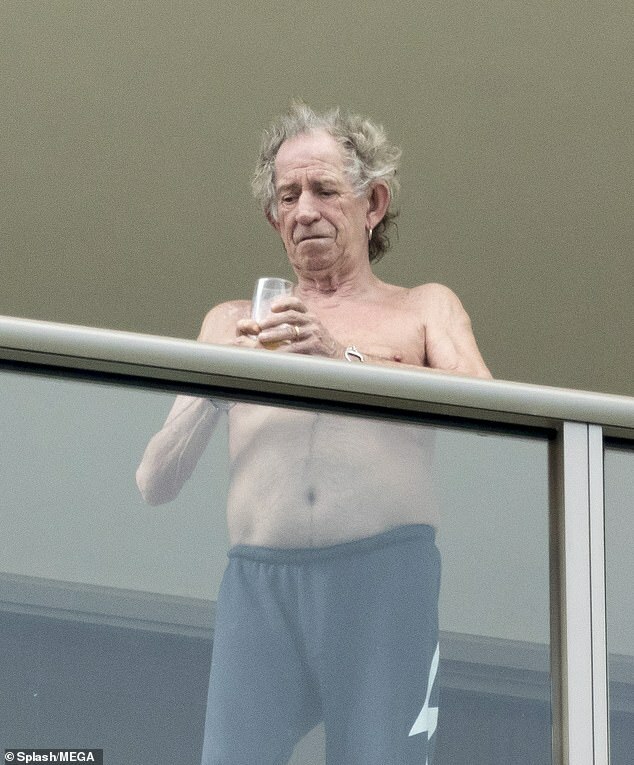 Keith looked deep in thought as he rested on the edge of his hotel room's glass balcony, wearing a pair of tracksuit bottoms which boasted a huge white lightening stripe. 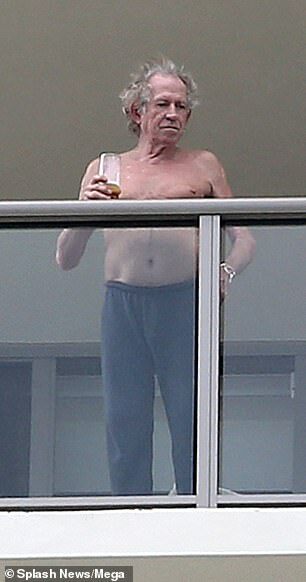 Patti joined her husband wearing a chic pink floral mini dress, as she took a seat on the plush rattan furniture which looked out onto the Miami coastline. 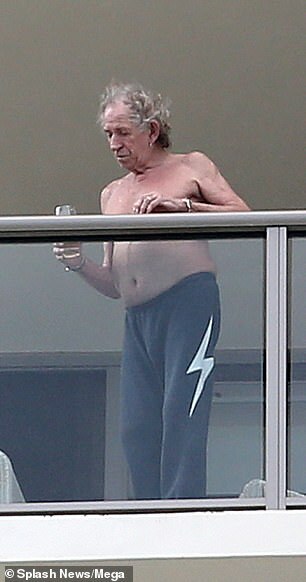 Mick and the band revealed a day earlier that doctors had advised him not to go on stage, weeks before the tour was due to start on April 20 in Miami. No other details about Mick's condition were provided.